Hip In Detroit: Who's Your Daddy? By now, we all know that James Franco was here last year working on “Oz: The Great and Powerful”. One thing that most of us didn’t realize though, is that he was also working on a music project while he was in town. Last week James Franco and Tim O’Keefe released their first album under the band name “Daddy”. The EP, titled “MotorCity”, consists of 4 songs and features the legendary Smokey Robinson. It shouldn’t come to a surprise to anyone that Franco would try his hand at music. The guys’ resume is quite long and features pretty much every job title under the sun. The real question will be whether or not this musical endeavor will be a success. I’ll let you be the judge on that… Check out Daddy’s video for their first single “Crime” featuring Smokey Robinson. “MotorCity” is available on iTunes and through Amazon. 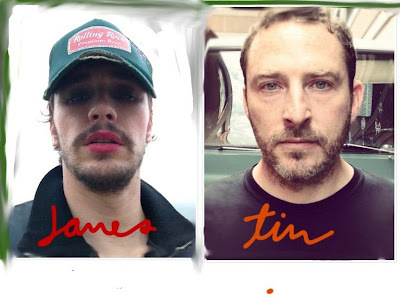 One thing’s for sure, we love that James Franco was inspired by our city and we hope that if this band ever hits the road, that they will make a stop here!